A cloud still hangs over the future of the British grand prix at Silverstone. Last year, the circuit triggered a break clause in its contract with Liberty Media for financial reasons. "We got ourselves into a pickle because we had a business that was solely financed by the grand prix," Silverstone managing director Stuart Pringle said. The circuit is therefore "diversifying" and Pringle said Silverstone is now "heading in the right direction". "It gives us the confidence to say 'Lord knows we want to keep the grand prix, but not at any price'. "We're going to have a broader, more diverse business that can survive without it. But we'd much rather have one with it," Pringle added. When asked about Silverstone, Formula 1 chief executive Chase Carey reacted by repeating his line about the "foundation" of the sport being built on its European roots. "But we do want to bring some freshness to it. We think it's important to go to some places that can capture people's imagination that are new," he said. 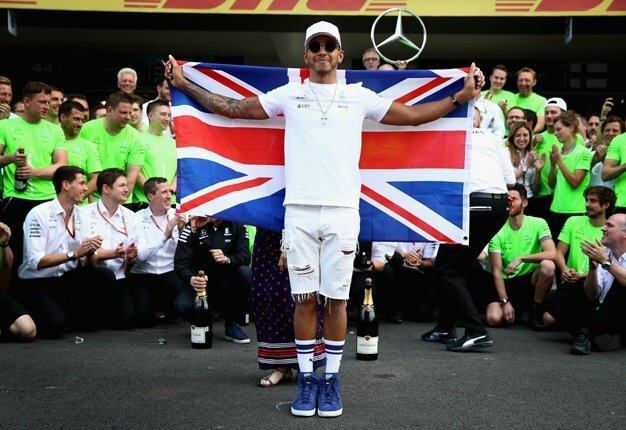 What's the latest with a deal for the British GP and Silverstone after 2019? That might be a reference to London, with commercial boss Sean Bratches admitting a street race in the British capital would be "ideal". "If there was an opportunity to race on the famous streets of London, that would be ideal for F1 fans around the world," he said. However, he also said he is "very hopeful" negotiations with Silverstone will work out. "There has not been a lot of change in terms of the last time we spoke. But we are having discussions and conversations around the business terms and both are genuinely trying to get a deal done," said Bratches.